Dunkeld & Birnam are neighbouring villages within Perthshire, Scotland. Dunkeld is about 15 miles north of Perth on the eastern side of what is now the A9 road into the Scottish Highlands, and on the opposite side of the River Tay from the village of Birnam. 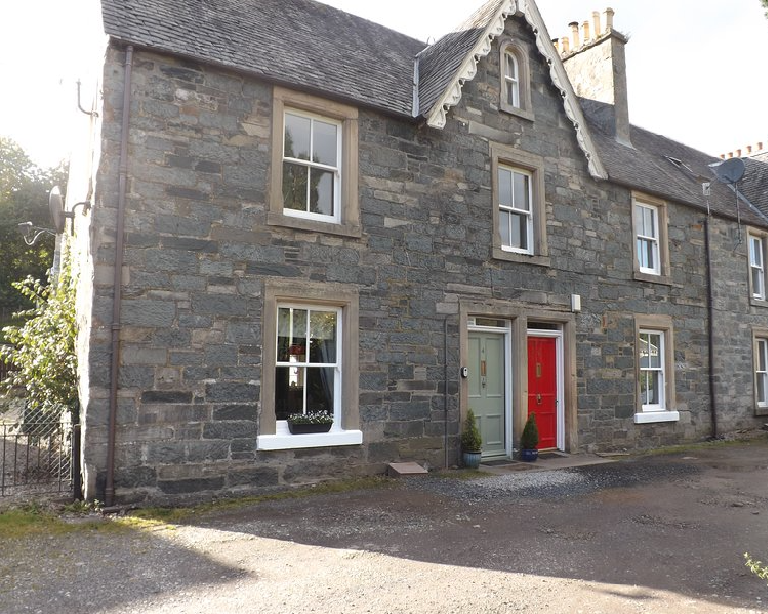 Birnam is a beautiful Victorian village, made popular by Beatrix Potter who regularly resided in the area. There is a Beatrix Potter exhibition just 5 minutes walk from the house. Many people also visit to view the famous Birnam Oak which was mentioned in the works of Shakespeare! There are plenty of activities available within the local area including fishing, golf, cycling, horse riding, hiking plus many restaurants and shops to visit. For the more adventurous there is also archery, clay pigeon shooting, rock climbing and quad biking with white water sports, skiing and snowboarding available a little further afield. Perthshire is so picturesque and often described as the heart of Scotland. You don’t have to travel far to be amazed by the views and the countryside. Edinburgh and Glasgow can be reached within an hour and Inverness within 2 hours.